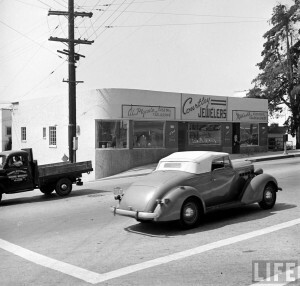 L.A. Connections…mobsters, jewelry and books! Photos of the s.w. 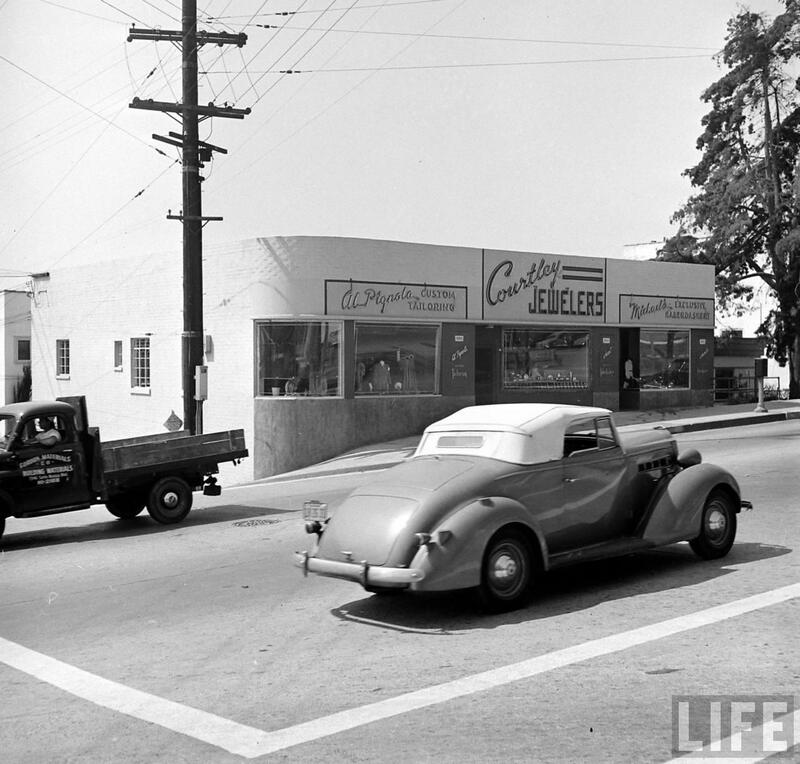 corner of the Sunset Strip, at Palm Ave/Holloway, circa 1951 (middle and bottom). 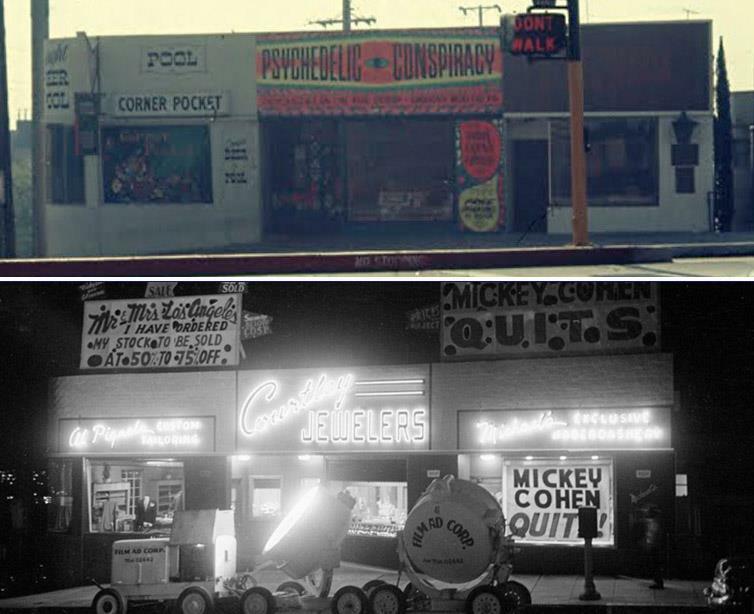 The photos show that the fabulous BOOK SOUP is situated directly next to what once was the location of L.A. mob boss MICKEY COHEN‘s notorious men’s shop, Michael’s Exclusive Haberdashery. Cohen’s other “businesses,” Courtley’s jewelry store (Johnny Stompanato was a partner), and his tailor shop (Cohen’s personal tailor, Albert Pignola’s name appears on the corner facade) are to the east (left). 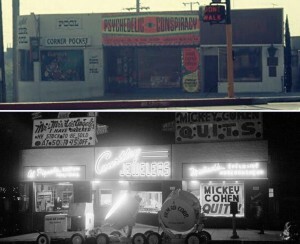 The later photo (at top) shows the location its incarnation as a head shop and pool hall beginning in the late 60s. A large brick multi-story office building now occupies the site. Larry Harnisch’s always great DAILY MIRROR blog has even more significance for me today. My book, MICKEY COHEN: The Life and Crimes of L.A. Notorious Mobster is featured.